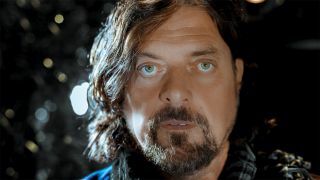 Alan Parsons has released a stream of his new single Sometimes featuring guest vocals from former Foreigner frontman Lou Gramm. The song has been taken from Parsons’ upcoming studio album The Secret which is set to arrive on April 26 via Frontiers Music srl. Sometimes follows Miracle featuring Jason Mraz, and I Can’t Get There From Here which Jared Mahone guested on. The Secret will see Parsons’ return to his pop rock sound with “symphonic and progressive rock interludes,” with the album title a reference to Parsons’ interest in magic. He said: “Magic has always been a passion of mine, I am a member of The Magic Castle in Los Angeles. I've also worked with the Japanese magic company Tenyo, writing instruction books and catalogs for their tricks. The Secret will be the first Alan Parsons album since 2004's A Valid Path. The record is now available to pre-order. Find details below.